Ambitious Foxhills Club & Resort is targeting a place in the top-10 – despite an impressive showing in the inaugural Golf World Top 100 Resorts in UK & Ireland. The historic club, based in Ottershaw, Surrey, has built its reputation as an exceptional and diverse leisure experience with two 18-hole championship golf courses – Longcross and Bernard Hunt – the nine-hole par-three Manor course, 11 tennis courts and a wealth of attractive dining and accommodation options. It ensured Foxhills sealed a lofty place well inside the top-40 as it was ranked at number 35 by the popular magazine’s guide, which is recognised as a benchmark in the industry. While it is deserved recognition and a position other resorts would envy, director of golf Chris Fitt is not satisfied and is determined to see a big improvement for the 2019 edition. Fitt said: “Of course, we are pleased to feature at number 35 in the rankings, but honestly, we should be much higher than that. “The standard of the golf courses, the quality of the accommodation and all of the leisure and dining facilities we have at Foxhills should see us well inside the top-10. Fitt, who has previously held positions Gleneagles, Brocket Hall and Golf At Goodwood, joined Foxhills last year and is eager to steer the resort to new heights. 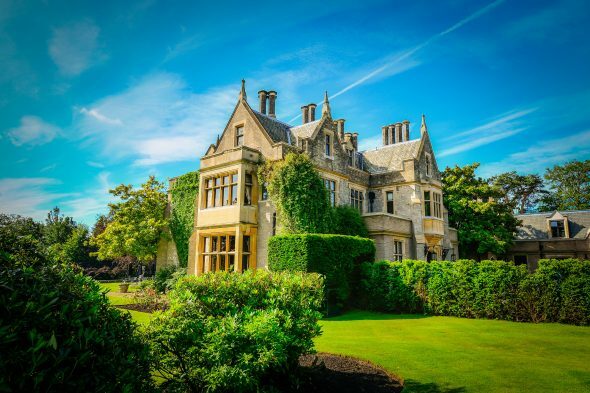 Aside from the golf, the facilities at Foxhills claimed Best Hotel Facility of the Year and Best Health Club of the Year at the recent National Fitness Awards. Foxhills boasts a 20m indoor swimming pool, hydropool with massage jets, outdoor jacuzzi, steam room, thermal area, relaxation room, two Finnish saunas and a spa garden featuring one of England’s first natural swimming pools with chemical-free water purified by plants and minerals. A wide range of membership options are available, while visitors are also welcome. To find out more, contact the membership team on 01932 704450 or email membership@foxhills.co.uk.